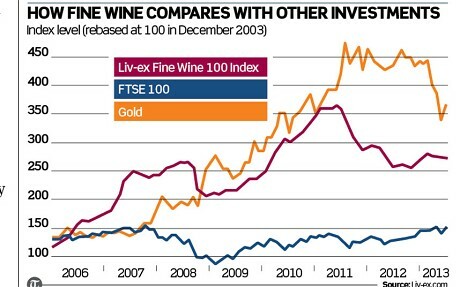 Prices of fine wine are rising again, and online services make it easier than ever for novice investors to research and trade. Could you buy wine for profit, as well as pleasure? In the past, gentleman wine collectors followed a basic rule: buy five cases of claret and put them in the cellar. Wait 10 years then drink two of the cases and sell three – and by doing so realise enough profit to buy five cases of younger wine and start again. Done year on year, in theory at least, the process not only ensures a household’s supply of excellent wine but becomes self-financing thanks to the drink’s propensity to increase in value. But the wine market has changed. It is less the pursuit of leisured gentlemen with their own cellars and more an investment market similar to those where other commodities are traded for profit. Several factors have driven the change, market watchers say. Prices of the most widely collected and traded wines – mainly bordeaux – rose sharply in the first decade of this century, attracting buyers who were less interested in the substance than in the profits they seemed able to generate. Another factor is growing demand from Asian buyers.